As part of my home’s expansion project, I’ve been designing a few rooms for my own family. One is a bedroom for my little one that will feature flamingos. This process has been a lot of fun and has me scouting flamingo decor. There is a lot of cheesy flamingo stuff and it’s easy to go overboard with the theme, so I’ve narrowed down a few of my favorite here. 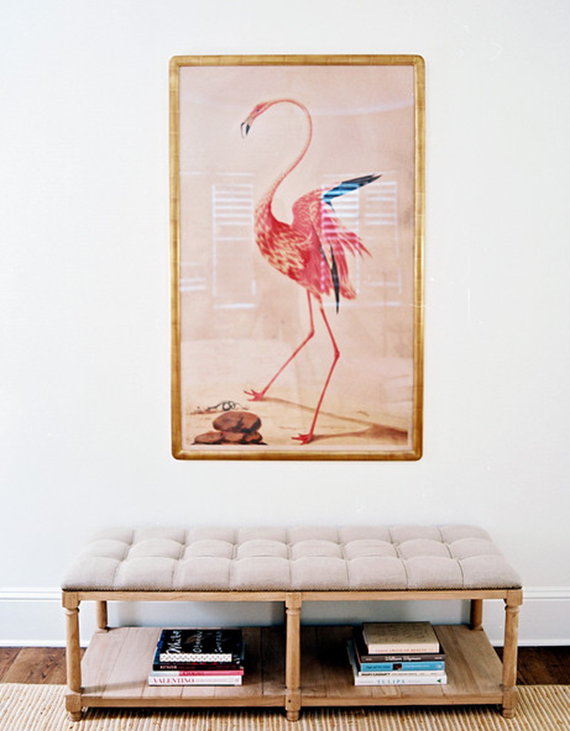 One way to incorporate flamingos in your decor is through artwork. This photo taken by Sharon Montrose captures a solo flamingo with wings outstretched. 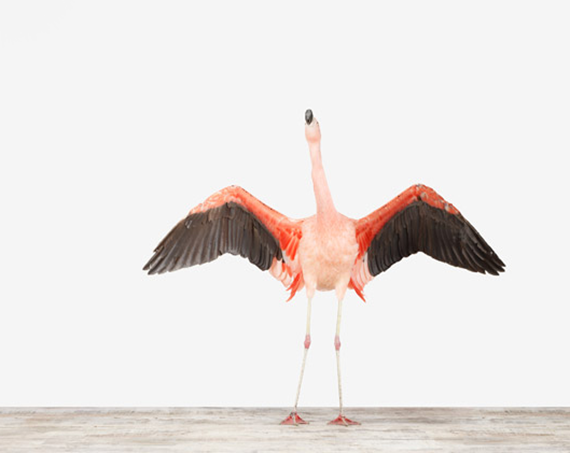 It’s a little a typical of the iconic one legged stance that flamingos are known for. Perhaps that’s why I like it so much. 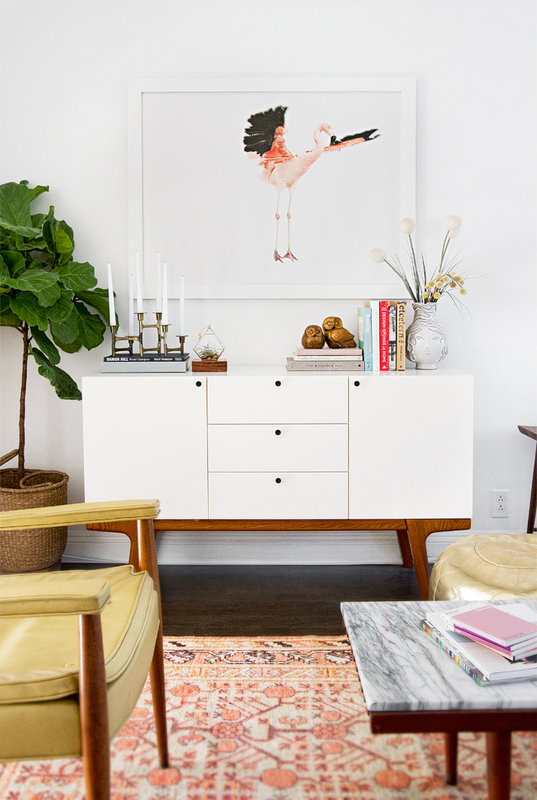 In this living room by Sarah or Smitten Studio, another flamingo photo by Sharon is featured above mid-century modern inspired console. Love! 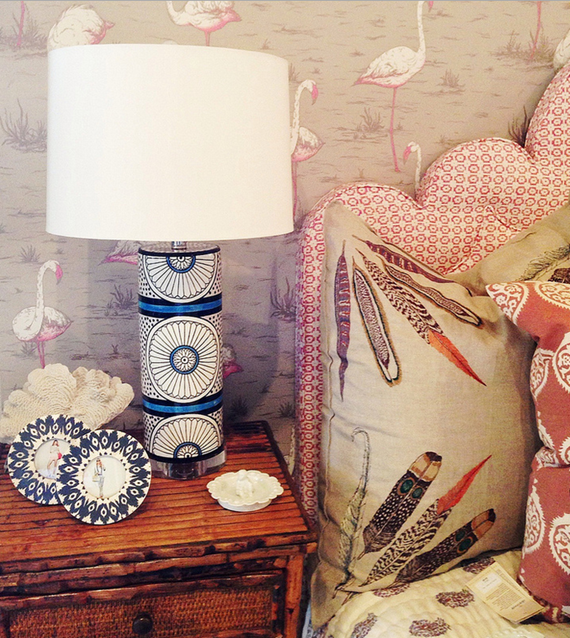 However, I still adore this Flamingo Mingle print by Cozamia. Furbish Studio features one of my favorite flamingo wallpapers in a bedroom vignette. 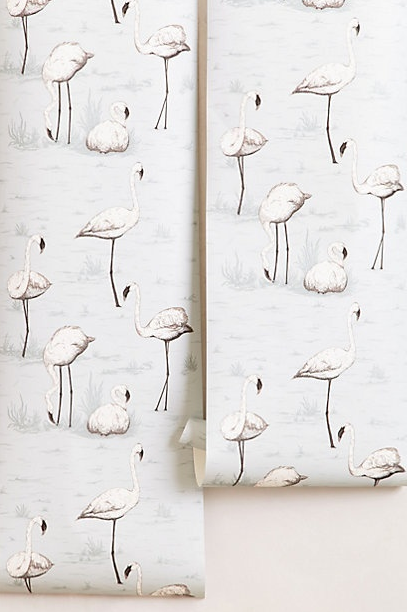 The flamingo wallpaper by Cole & Sons is available in a lovely toned-down color palette at Anthropologie. It would be so much fun in a powder room. Not home decor, but I’ve noticed that flamingo party themes are trending too. 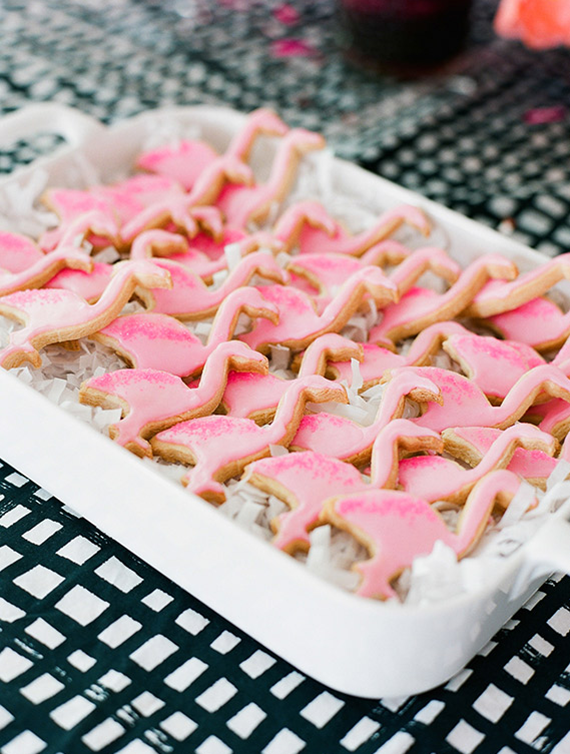 Loved this sweet flamingo 1st birthday party for Penny. How cute are these sugar cookies? I’ve always been a fan of the flamingo wallpaper and think it would be so fun in a bathroom. The prints are very cute too. 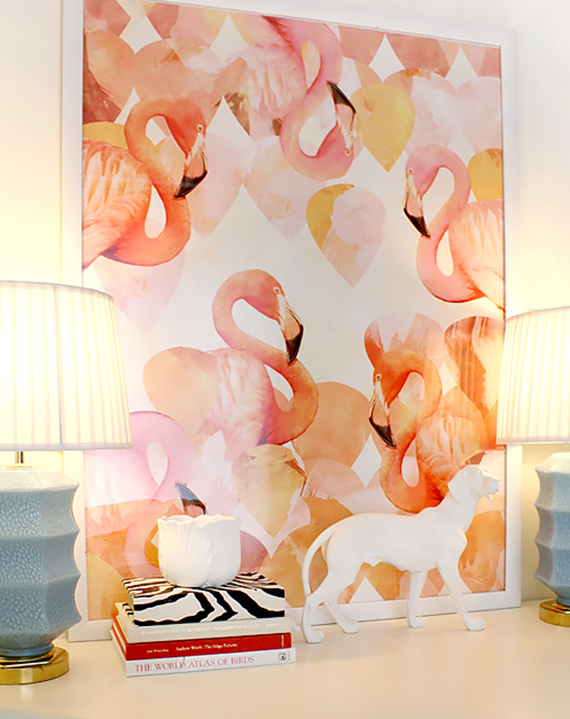 I love love that “Flamingo Mingle” print: really great and would be perfect in so many rooms! Yes, I agree that flamingos are trending. Well, it’s all part of the mid-century retro look. But you do have to be careful as there is so much kitchy junk out there! I had designed a throw rug with two flamingoes …..about ten years ago?….that sold very well year after year! Would love a few of those sugar cookies right now!